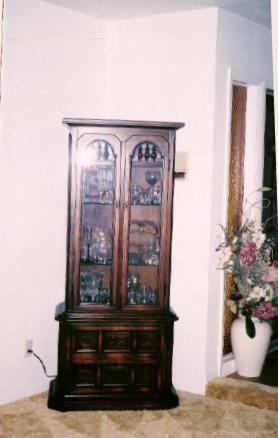 Curio cabinet just inside the livingroom. 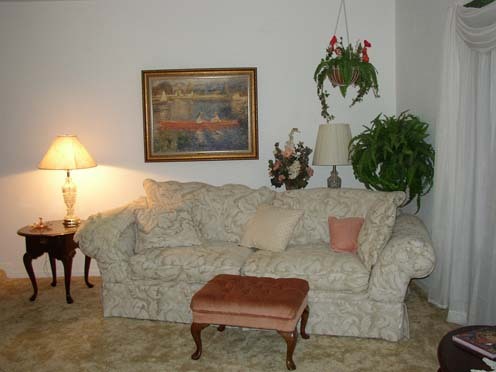 The flowers are sitting in the foyer. 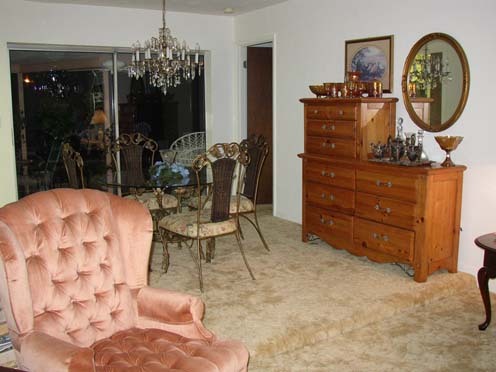 On the left you can just make out the step up to the dinning room, to the right of the sofa are the windows. 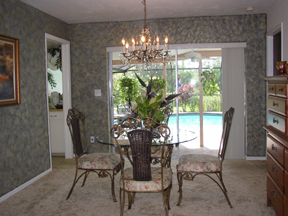 View of the dinningroom. Beyond is the livingroom which is sunken, meaning watch your step in the dark. 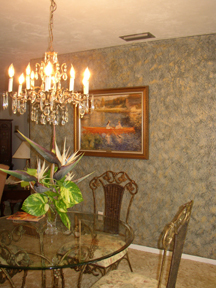 I just recently faux painted two walls in the dinning room,, what do you think?